Balloons can be categorised in to two different types, latex and foil. The difference between each type of balloon is important in understanding how they should be managed. Latex balloons are not plastic and are comprised of a natural rubber sap, which is biodegradable., minimal amounts of non-toxic coagulants and pigments. Natural Latex comes from Rubber Tree Plantations which are a renewable resource. Latex balloons are broken down by micro organisms in the soil, water and air over a period of approximately 1 year. Foil balloons are made with Mylar nylon, often coated in a metallic finish and are available in a range of different sizes and shapes. Foil balloons aren’t bio-degradable and should not be released but be reused on a later date. Latex is an organic vegetal resin composed of 60% rubber and 40% water presented as a white milky liquid with viscosity. Many tree species can produce latex but most of the latex for industrial use comes from the Heveas Brasiliensis, commonly known as the “crying tree”. Latex is collected from the trees by cutting the trunks skin producing cuts of milimeters deep. When cutting, the tubs weep latex for about 2 hours through a spout which direct the liquid into a collection cup containing several drops of ammonia to avoid latex coagulation. After collecting, latex is centrifuged to increase its concentration and prepared in containers for the distribution to manufacturers. Did you know about the origins of latex? Where does latex come from? Certainly, it’s a precious gift from nature coming from the world’s tropical regions. Malaysia, Thailand and Indonesia are the largest latex producers. Are Latex Ballloons Earth Friendly? Yes, latex trees grow in the rain forests and latex harvesting discourages deforestation because latex producing trees are left intact, therefore the trees are not hurt during harvesting. Also the Heveas can produce latex for us to 40 years. 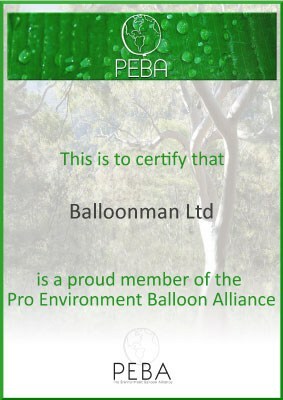 Our supplier uses only pure natural latex so when you buy our balloons you are contributing to a friendly preserved earth as all our balloons are fully biodegradable. Research showed that a latex balloon biodegrades at the same time as an oak leaf. Ever wondered what happens to your balloon after you’ve let it go?